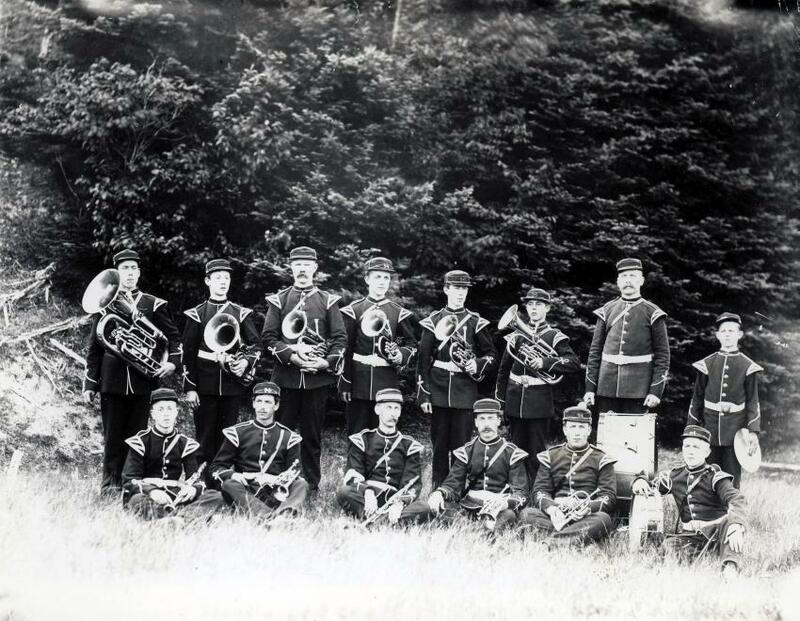 Item is a photograph of the band of the 94th Regiment in Big Baddeck. The third from right in the front row is the late Mayor Malcolm Morrison. Photograph was donated to the Beaton Institute Archives by Bert MacLeod.